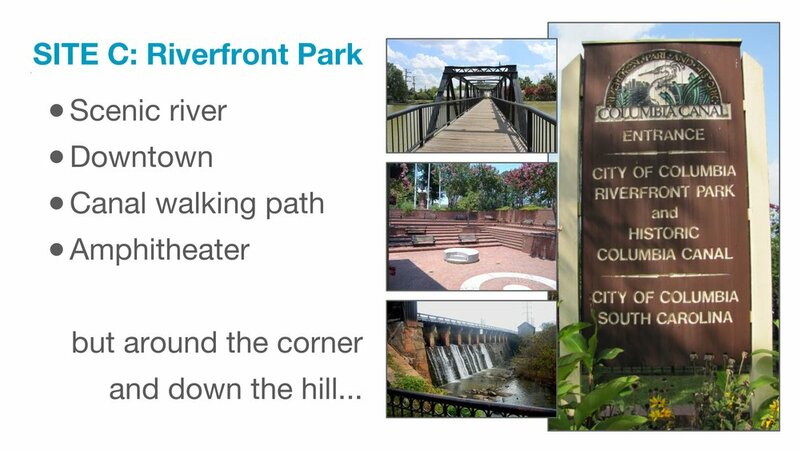 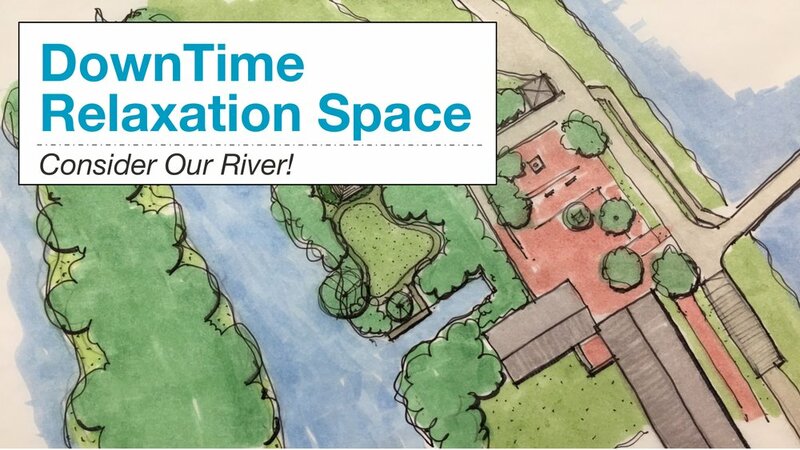 Located at the Riverfront Park Amphitheater, DownTime is a new space for relaxing and spending time with friends. 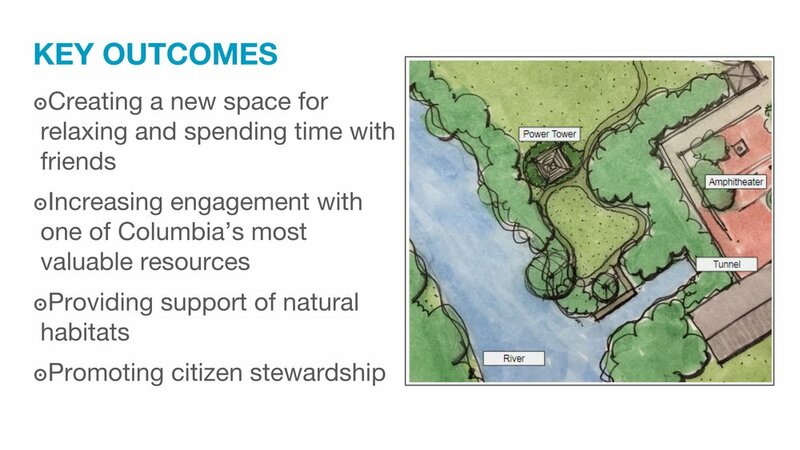 It increases engagement with one of Columbia's most valuable resources, provides support of natural habitats, and promotes citizen stewardship. 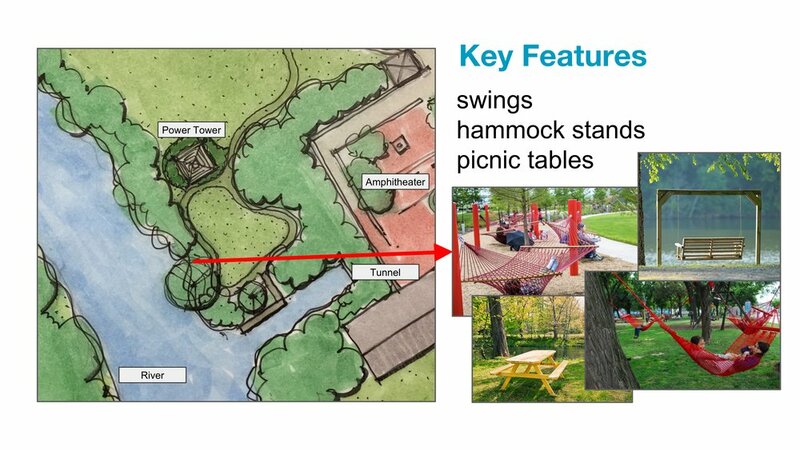 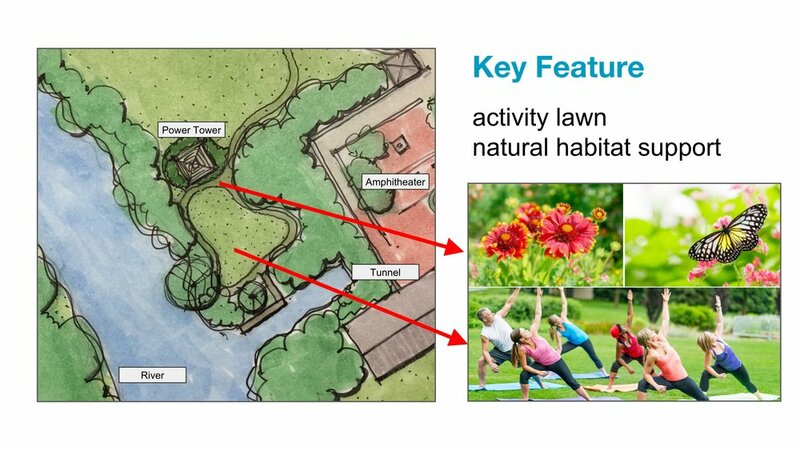 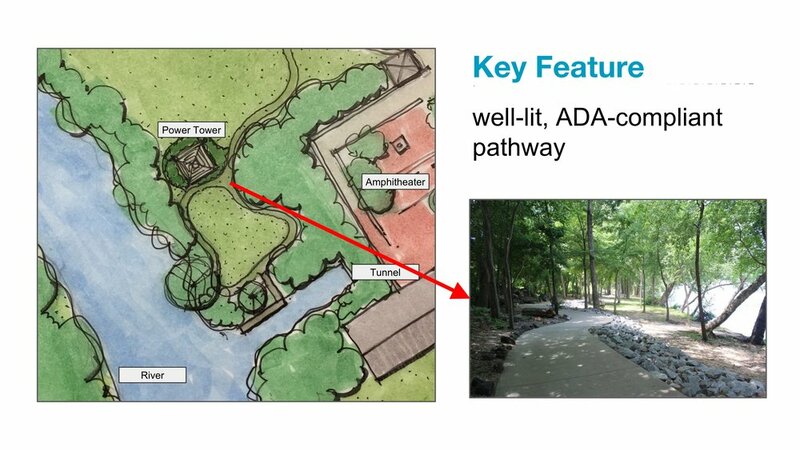 Key features include well-lit pathways, an activity lawn, swings, hammock stands, picnic tables, and a floating dock.